In July 2017, the Duchess of Cambridge (Kate Middleton) wore a green dress by German designer Markus Lupfer to an evening reception at a 100-year-old ballroom in Berlin. 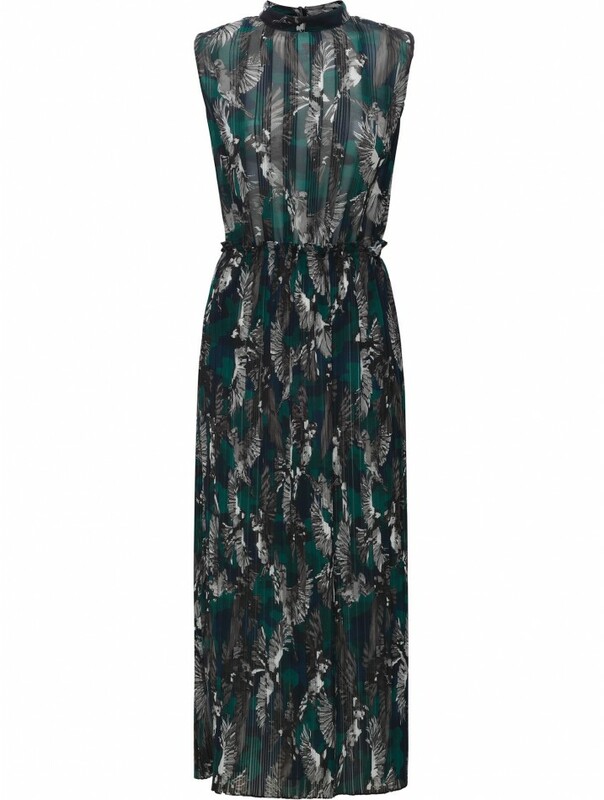 It’s the designer’s Wild Sparrow Pleated Arabella dress in teal. 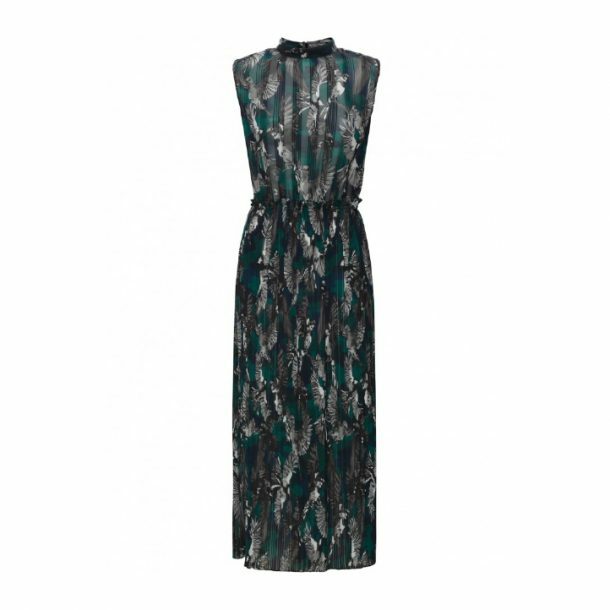 The sleeveless blue-green dress features a high neckline and a pleated midi-length skirt. It is decorated with a sparrow bird print. On his website, the designer describes the dress as having “intricate pintuck pleating with a high neck and flattering midi length skirt.” The dress is made from a 100% polyester georgette fabric. Markus Lupfer told InStyle Magazine that the wild sparrow was one of his key motifs for the season. “We created this print in-house, it was hand drawn and painted to create more character and personality. The Crystal pleating technique created a flattering, modern silhouette. The dress is available exclusively at MarkusLupfer.com for £580 GBP. At the time of writing (17th August 2017) the dress is available for pre-order only. A shorter version of the dress is available at Harrods.com for £520.